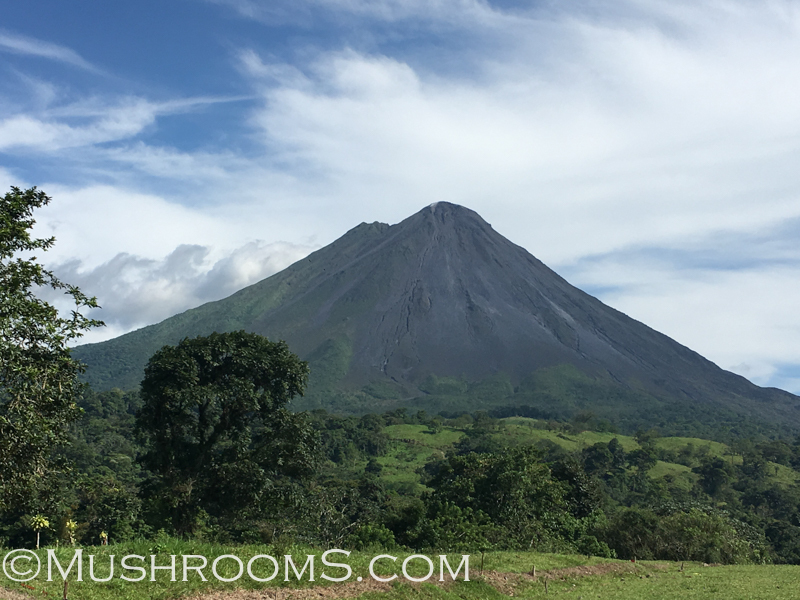 I am excited to introduce our newest cubensis spores, the Arenal Volcano Costa Rica Cubensis. I found these cubensis mushrooms while traveling in Costa Rica during the late spring of 2016 and what an exciting trip that was. Costa Rica is an amazing country with so much beauty and great eco tourism and plenty of mushrooms to forage. UPDATE 1-31-19: We are adding a free Arenal Volcano Cubensis Spore Syringe to our special of buy 5 or more. You have to add the Arenal Volcano spore syringe to your cart, along with 5 other spore syringes or spore prints. Apply the coupon code volcano which will discount $16.95. You can apply the coupon code under VIEW CART > USE COUPON CODE.